Smudge Bundle Buffet - Pick your favorite smudge! Home Shop Smudge Bundle Buffet – Pick your favorite smudge! You’ve asked for even more smudge bundle options, so here they are, in this Smudge Bundle Buffet! These bundles are made of new herbs I haven’t offered you before, but many of these bundles are ones that I use in my personal smudging practice. Each of these bundles does something unique and special. Try one or try them all. Simply choose the one you want from the drop-down menu. 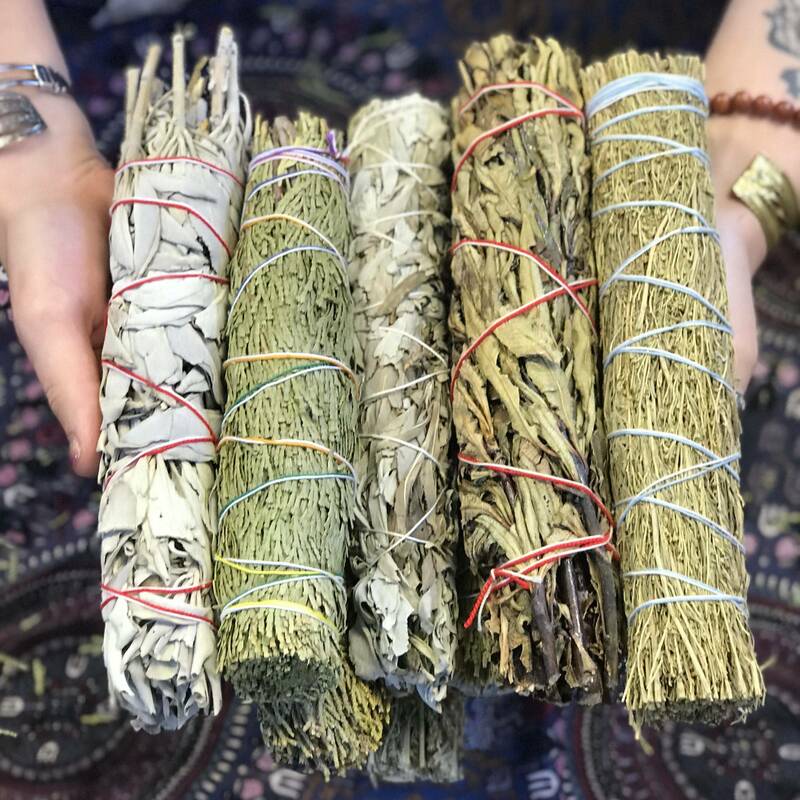 The sage in these bundles is sourced from a family-owned and operated farm in the high desert mountains of San Diego County, where wild white sage grows naturally. This farm is the only certified organic grower of white sage in the United States, so rest assured that these bundles were produced sustainably and organically! Additionally, this farm is far from urban areas and thus, the air surrounding it is fresh – free of pollution. The water on the farm has lots of minerals that white sage requires to thrive; this water originally flushed the roots of desert plants like salvia apiana before becoming part of the natural aquifers in this region. Enjoy this sacred sage bundle, grown, sourced, and crafted with love just for you. 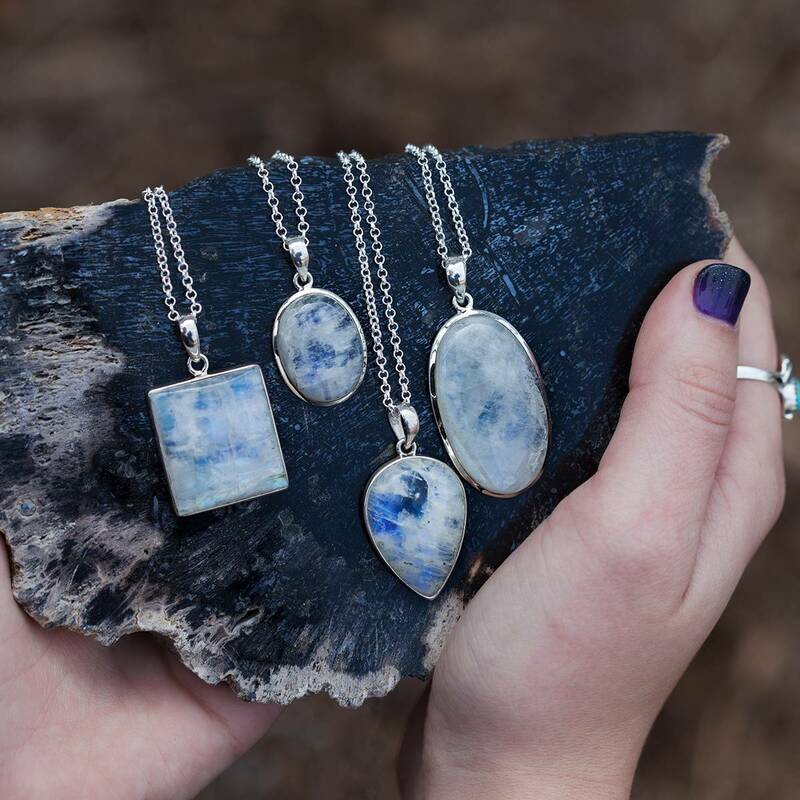 Which smudge bundle calls to you? WHITE SAGE & YERBA SANTA FOR CLEARING AND DIVINATION – White sage has been used since ancient times for its ability to purify negative or low energies. Combined with the divination-enhancing magic of Yerba Santa, the power of this herb is elevated to all-new levels of magic. CEDAR & WHITE SAGE FOR CLEARING AND ANCIENT WISDOM – Cedar is known for its ability to call forth the energy of the ancestors and elders. Burn this smudge bundle in your sacred space to purify any low or stagnant energies and to call in the guidance of the ancients. 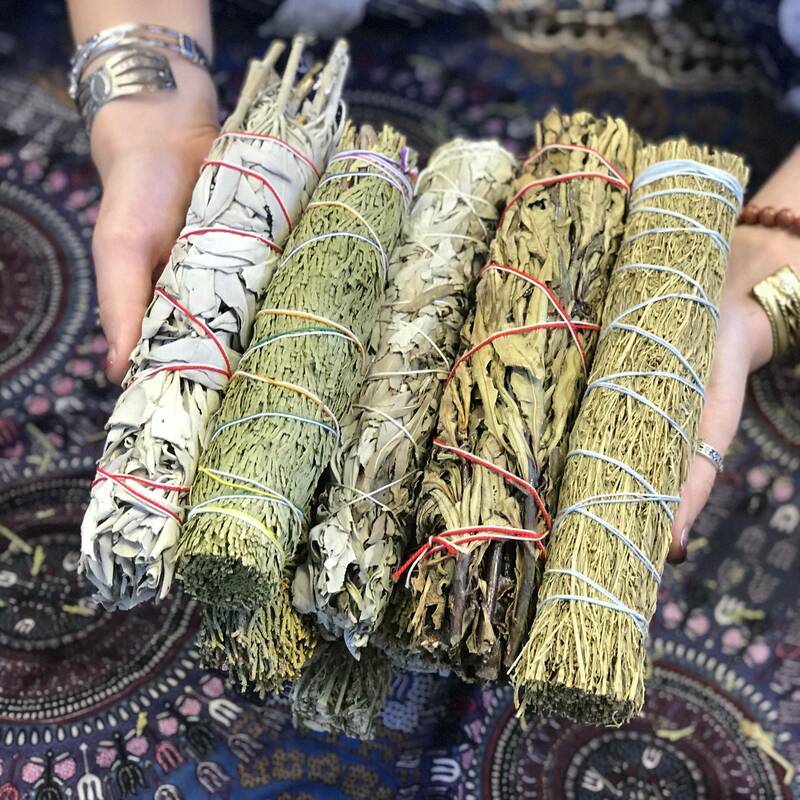 DESERT SAGE FOR PSYCHIC WORK – Hailed across the world for its incredible purifying properties, desert sage is an ideal choice for preparation before psychic or spiritual work. YERBA SANTA FOR MEDITATION AND DIVINATION – This Yerba Santa is was made in the old ways, with the best grade leaves. 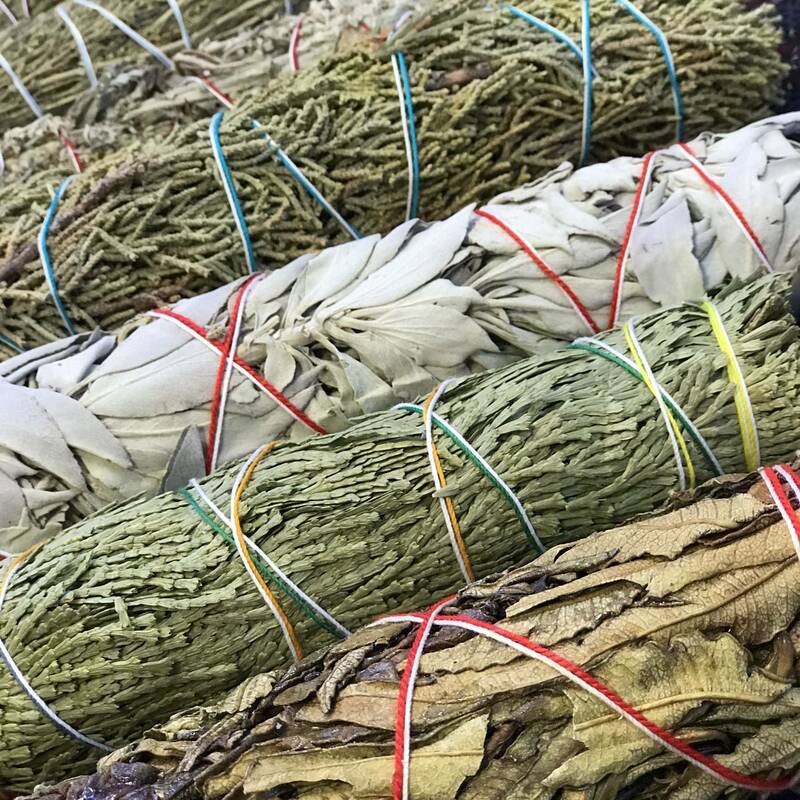 Yerba Santa helps with meditation and divination, opening the Third Eye Chakra and helping you explore the inner and deeper realms as you connect with spirit guides and elders. It also provides spiritual cleansing. WHITE SAGE FOR CLEARING – Elders have burned this sacred herb for centuries in order to clear and consecrate their space. The smoke of ceremonial white sage, in particular, is said to draw positive spirits and discourage the presence of any unwanted energy. It’s the smudge bundle par excellence. BLACK SAGE FOR SAFETY AND PROTECTION – We use black sage for protection and clearing of spaces. White sage removes negative energies, whereas black sage helps create a protective shield around you, your property, and your belongings. 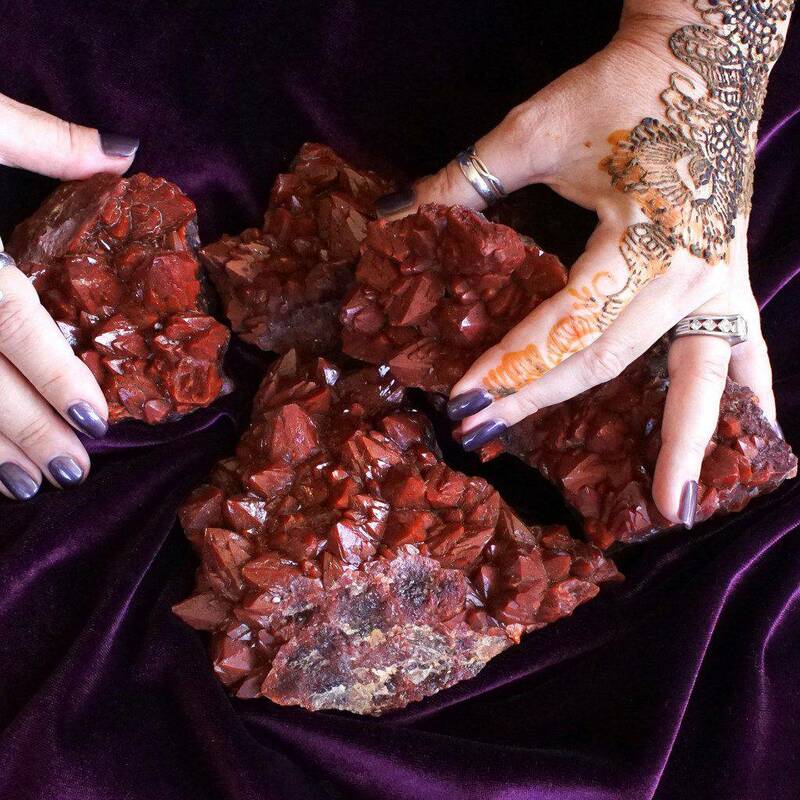 CEDAR FOR ELDER CONNECTION – Cedar is best known for its ability to call in ancient wisdom. Burn this smudge bundle in your sacred space to call in the magic and guidance of your ancestors and elders, so that they may empower and deepen your spiritual practice. 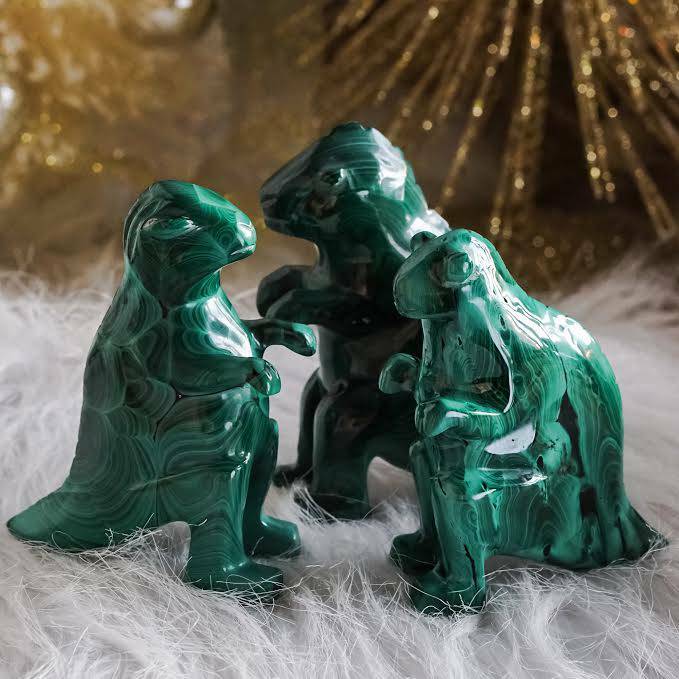 JUNIPER FOR PEACE AND CENTEREDNESS – Juniper is a potent bringer of peace, centeredness, and balance. This smudge bundle is perfect for anyone looking to create a space of safety and comfort. Juniper also brings forth protection. This listing is for (1) smudge bundle (about 8-9″ in size). Yours will arrive lovingly parceled for your enjoyment and delight.